The castle turret, at the highest point of the castle, forms the Moor’s crown whilst the nose, chin and eyebrows can clearly be seen if you view Mount Benacantil, upon which the castle stands, from the right position. 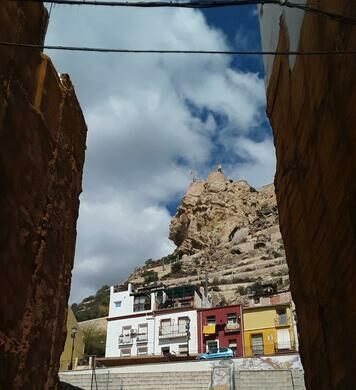 The best place to view the Head of the Moor is from the road on the landward side of the Basilica of Santa Maria, the oldest church in Alicante. The viewing point is in the gap left by the demolition of a building, leaving the other two buildings to frame the view nicely. Various legends have built up around this curious rock formation, but the one most often repeated features young lovers and their heartbreak. The story recounts a beautiful young princess called Cantara falling in love with a relatively poor man called Ali. Her father, a Moorish king, disapproved and would not let his daughter marry for love. The heartbroken princess could not bear to live apart from the man she loved and threw herself off the castle on to the rocks of Mount Benacantil, falling to her death. Upon hearing the news, Ali also jumped to his death so he could be with his beloved in the next life. His daughter’s suicide broke the King’s heart and he is said to have spent the rest of his life in misery and despair. 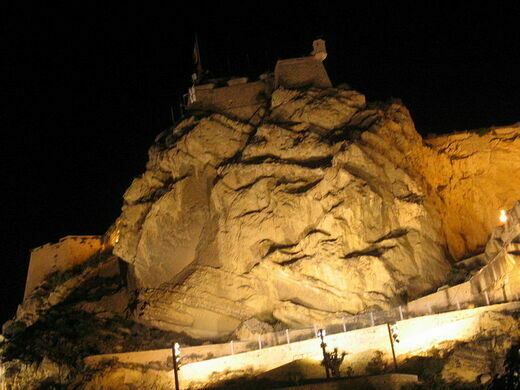 It is believed that it is his profile that is seen in the rock formation. 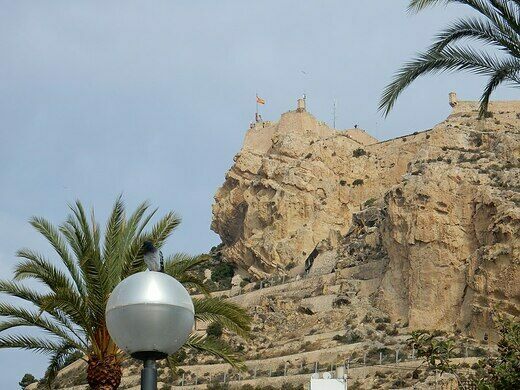 Santa Barbara Castle is worth a visit in its own right and whilst one can walk up to the castle, most people take the elevator which is approached by a long foot tunnel. This magnificent market stands as a poignant symbol of the suffering caused by the Spanish Civil War.